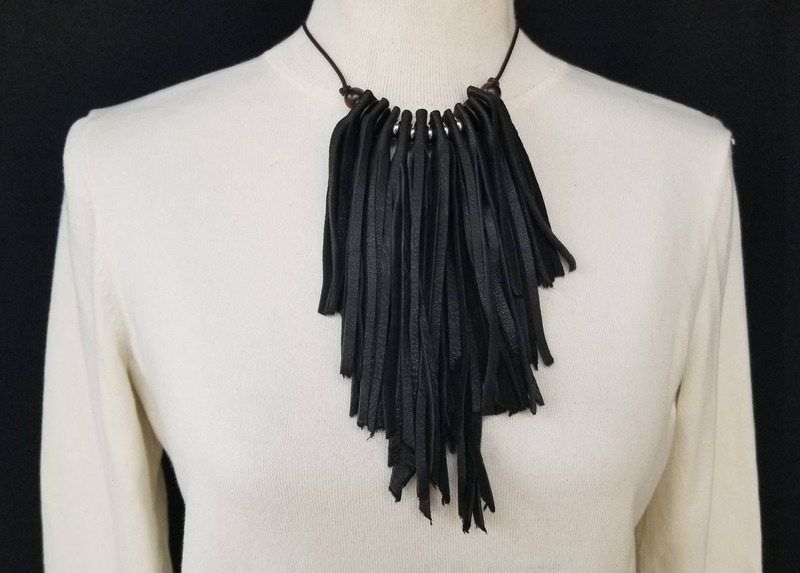 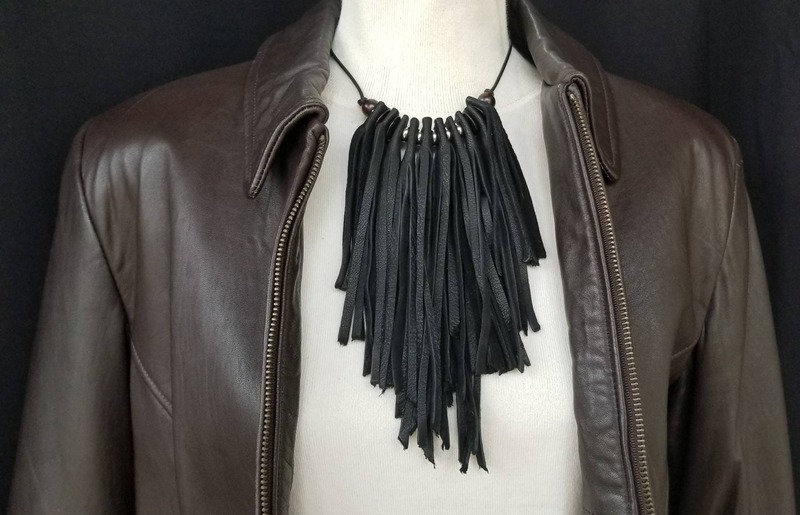 Soft deerskin leather bib necklace accented with stainless steel beads and 2 end ebony beads. 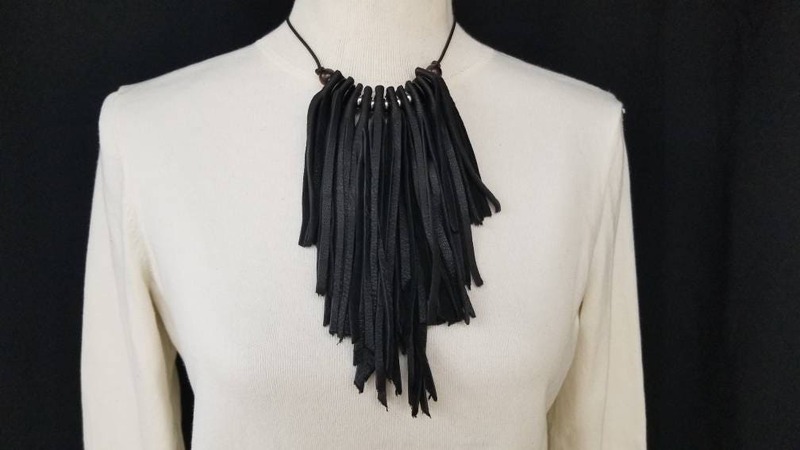 100% Black Deerskin leather . 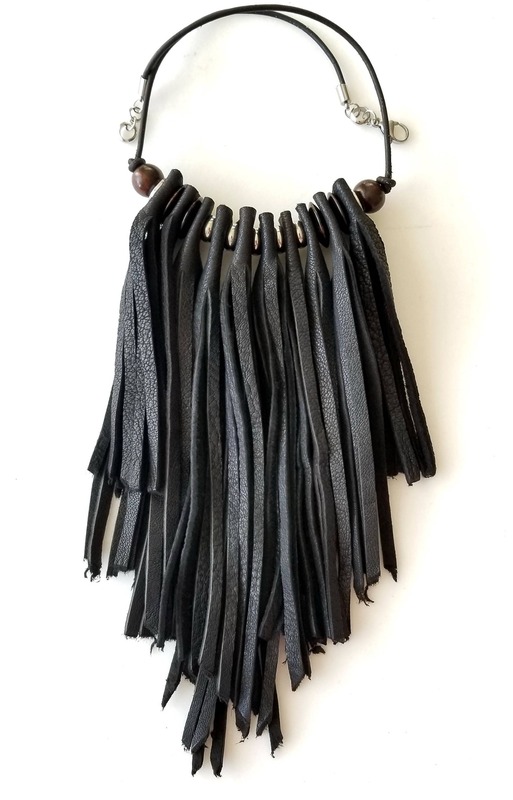 Fringes vary from 3 1/2 " to 5 "